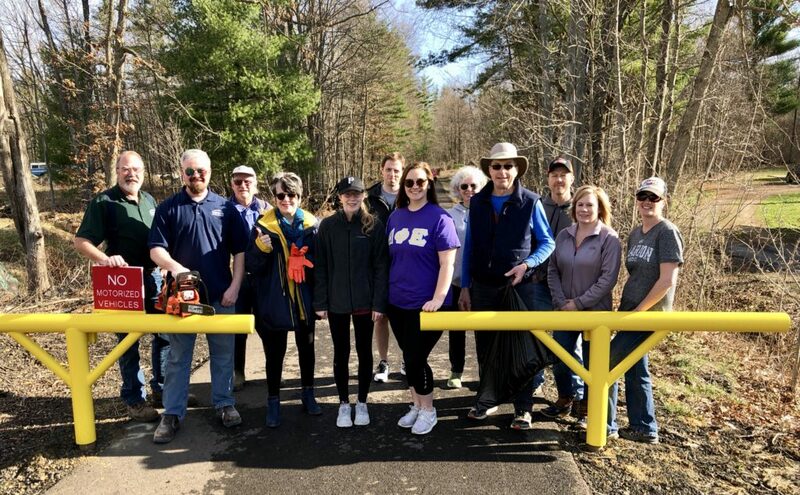 Volunteers gathered at the Lucinda Trailhead and the Marianne Trailhead on Saturday morning to get the trail ready for spring. 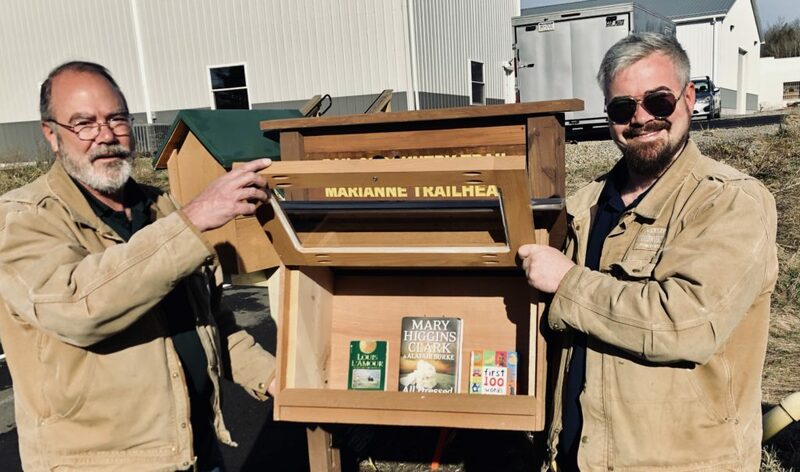 Tim Huebert and Kelsey Huebert, of Huebert Woodworking in Lucinda, placed another “Little Free Library” at the Marianne Trailhead on Route 322, adjacent to O’Neil’s Quality Foods, across Willow Lane. 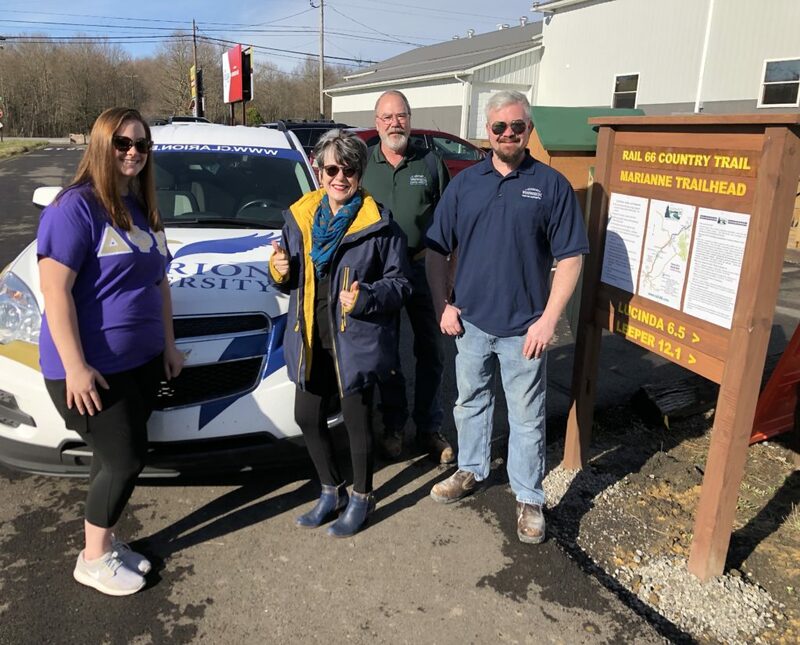 The first little free library in Clarion County was placed in Lucinda. 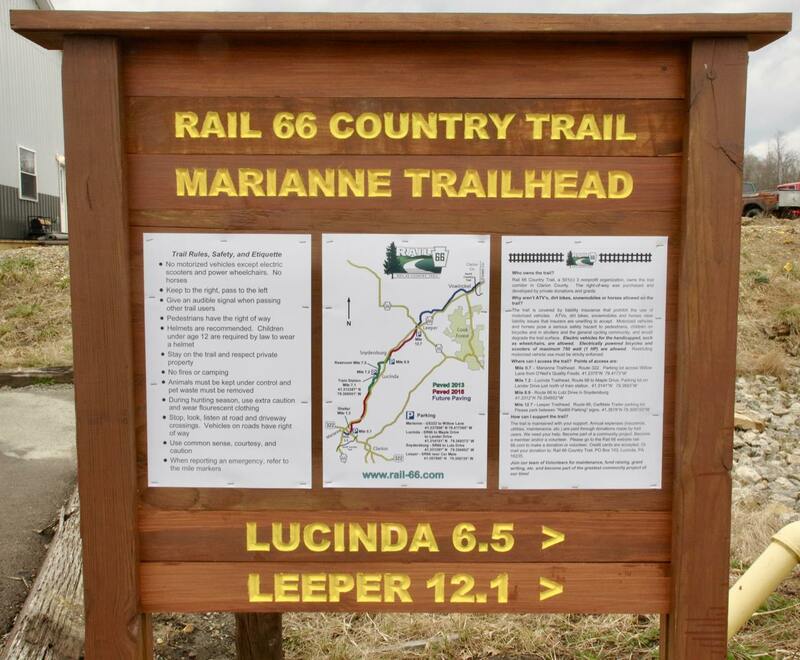 The Lucinda Trailhead is along Route 66, adjacent to Lander Drive, just north of the train station. 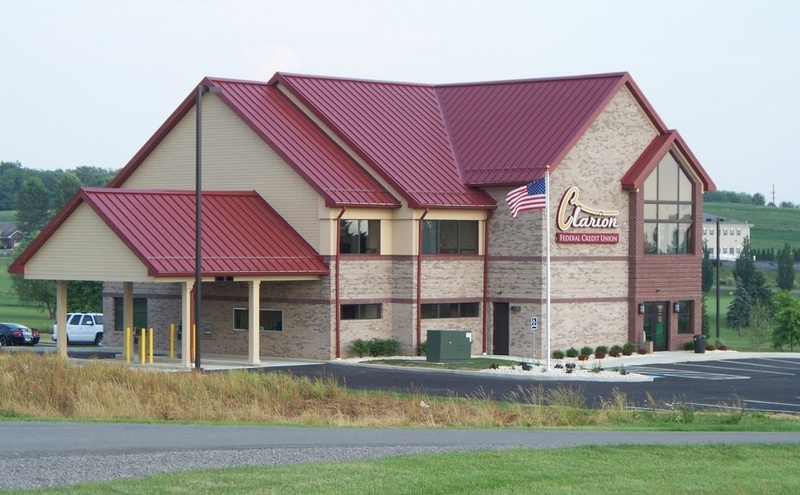 The Leeper Trailhead is along Route 66 at the CarMate Trailer parking lot. Leeper received the third little free library. Emilie Miller, Clarion University President Dale-Elizabeth Pehrsson, Tim Huebert, and Kelsey Huebert. A Little Free Library is a “take a book, return a book” free book exchange that has become popular across the country and around the world over the last decade. Little Free Libraries come in a variety of shapes and sizes, but the most common version is a small wooden box of books. No library card is required to borrow from a Little Free Library, and anyone may take a book or bring a book to share. The classy-looking trailhead signboards were recently installed, thanks to the energy of Eagle Scouts Dan Ketner, Cole Whitling, and Luca Cherico of Troop 51, with help from Donny Cunningham and Ethan Shultz. Mike O’Neill printed the trail map, trail rules and etiquette, and the Rail 66 information on weatherproof paper. Little Free Library information can be found at https://littlefreelibrary.org.